March 27, 2019 – Astronomers at The University of Texas at Austin, in partnership with Google, have used artificial intelligence (AI) to uncover two more hidden planets in the Kepler space telescope archive. The technique shows promise for identifying many additional planets that traditional methods could not catch. The planets discovered this time were from Kepler’s extended mission, called K2. To find them, the team, led by an undergraduate at UT Austin, Anne Dattilo, created an algorithm that sifts through the data taken by Kepler to ferret out signals that were missed by traditional planet-hunting methods. Long term, the process should help astronomers find many more missed planets hiding in Kepler data. The discoveries have been accepted for publication in an upcoming issue of The Astronomical Journal. Other team members include NASA Sagan fellow at UT Austin Andrew Vanderburg and Google engineer Christopher Shallue. In 2017, Vanderburg and Shallue first used AI to uncover a planet around a Kepler star — one already known to harbor seven planets. The discovery made that solar system the only one known to have as many planets as our own. 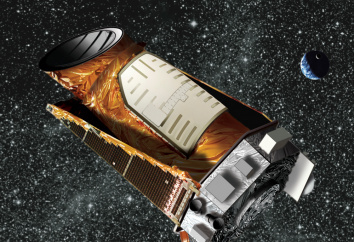 Data taken during Kepler’s extended K2 mission differs significantly from that collected during the spacecraft’s original mission, necessitating a new algorithm for this project. “K2 data is more challenging to work with because the spacecraft is moving around all the time,” Vanderburg said. A change came about after a mechanical failure — after Kepler completed its primary mission, the second of four reaction wheels on Kepler ceased to work properly, preventing Kepler from pointing with precision. In May 2013, the Ball Aerospace Flight Planning Center (FPC) prevented a potential mission ending failure with a clever technique of using the solar pressure hitting Kepler and combining that with some of the thrusters to control the telescope. The new approach enabled the continued collection of scientific data – dubbed the K2 mission — and expanded its scientific return dramatically. However, the spacecraft was left with a wobble that AI has to account for. “If we want to know how many planets there are in total, we have to know how many planets we’ve found, but we also have to know how many planets we missed. That’s where this comes in,” Vanderburg said. Of the two planets, one is called K2-293b and orbits a star 1,300 light-years away in the constellation Aquarius. The other, K2-294b, orbits a star 1,230 light-years away, also located in Aquarius. Once the team used their algorithm to find these planets, they followed up by studying the host stars using ground-based telescopes to confirm that the planets are real. These observations were done with the 1.5-meter telescope at the Smithsonian Institution’s Whipple Observatory in Arizona and the Gillett Telescope at Gemini Observatory in Hawaii. The future of the AI concept for finding planets hidden in data sets looks bright. The current algorithm can be used to probe the entire K2 data set, Dattilo said — approximately 300,000 stars. Dattilo also believes the method is applicable to Kepler’s successor planet-hunting mission, TESS, which launched in April 2018. Dattilo plans to continue her work using AI for planet hunting when she enters graduate school in the fall. As the mission prime contractor on Kepler, Ball Aerospace of Boulder, Colorado, built the spacecraft and photometer and was responsible for system integration, testing and on-orbit operations. Kepler was operated from the University of Colorado’s Laboratory for Atmospheric and Space Physics (LASP) from the time of its launch in March 2009 until its retirement in November 2018. Kepler leaves a legacy of more than 2,600 planet discoveries from outside our solar system, many of which could be promising places for life.